Leftists are pulling out all the stops to oppose Donald Trump. Now they’re assassinating the character of Supreme Court nominee Brett Kavanaugh. But Megyn Kelly raised eyebrows with what she said about Democrats’ attempts to smear the judge. Democrats will do anything for power. They will abandon any of their so-called principles. They will also destroy a man’s reputation with zero evidence. That’s what they did to conservative Supreme Court nominee Robert Bork in 1987. They labeled him a racist and misogynist with no foundation. They made him so toxic, his nomination failed. Democrats tried to do the same with Clarence Thomas. This time they brought forth allegations of sexual harassment. Anita Hill followed Thomas from job to job, getting promoted along the way. But somehow he was harassing her at every stop. She even called him several times after she no longer worked for him. Democrats wanted to destroy him. It didn’t matter that Hill’s allegations weren’t backed up. These are the depths Democrats will stoop to when they feel the Supreme Court might tilt to the right. That’s why they’re out to blow up Kavanaugh. However, not everyone is falling for the left’s smear. Republicans are rallying around Kavanaugh. Democratic senators in red states could be in serious trouble if they vote against Kavanaugh. Even some people on the left hate the treatment of Kavanaugh. Old school liberal Alan Dershowitz balked at the Democrats’ treatment of the entire process. And Megyn Kelly, who is no fan of Trump, stood up against the attacks on Kavanaugh. Kelly first called out Dianne Feinstein for her public attack on Kavanaugh after sitting on the allegations for almost two months. And recently she destroyed the credibility of Kavanaugh’s third accuser, Julie Swetnick, who’s being represented by the slimy Michael Avenatti. 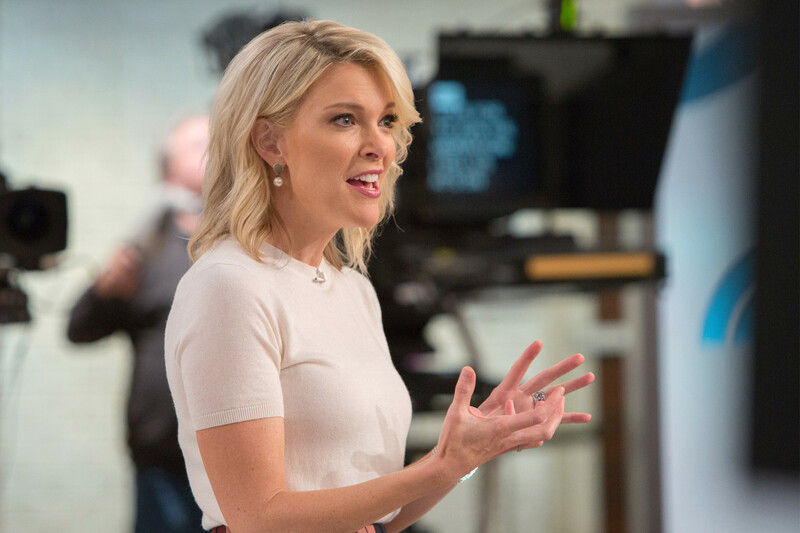 Megyn Kelly, Stephanie Gosk, Amy Holmes, and Dan Goldman rip into Michael Avenatti during a panel discussion on NBC’s Megyn Kelly TODAY, saying he is “begging” to be on T.V. and noting “real credibility problems” with the allegations against Judge Brett Kavanaugh. Be sure to like, subscribe, and comment below to share your thoughts on the video. Kelly drove a truck through all of the holes in Swetnick’s past. But some people on the left still give credence to Swetnick’s ridiculous claims. This is how motivated the left is to keep Kavanaugh off the Supreme Court. Abortion is sacred to leftists. That’s why they oppose Kavanaugh so fiercely. They believe his vote could overturn Roe v. Wade, which would allow states to decide the legality of abortion. To protect abortion, the left’s scheme is to block all of Trump’s nominees in hopes of winning back the Senate. And their plan might work if RINOs like Jeff Flake continue to waver. Flake hates Trump, and he’s retiring. If he’s the catalyst for stopping Kavanaugh, the left media would love him. Until he says anything conservative. The left praised James Comey when he ripped the Republican Party on his way out the door. But then they destroyed him when he warned that they were becoming too extreme. The great irony is it’s unclear if Kavanaugh would even overturn Roe v. Wade. If the Democrats defeat Kavanaugh, they could end up with an even more conservative nominee.